The focal point of your backyard living space could be your new outdoor kitchen. Our custom built outdoor sink and wet bar are built to last. We are the premier contractor in Houston for building beautiful and strong outdoor living spaces. We will build your outdoor kitchen into a permanent structure to match your style and home aesthetic. In addition to a built-in grill outdoor sinks and wet bars are the ultimate in outdoor living luxury. Entertaining with family and friends in your backyard oasis will never get old. 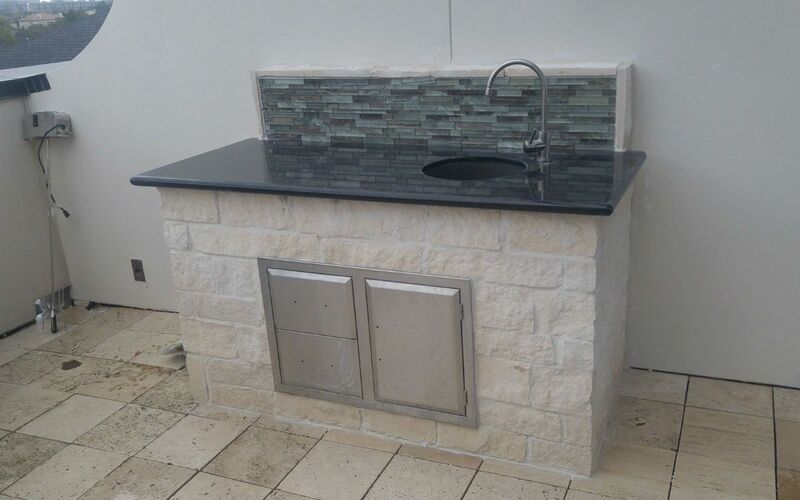 Your outdoor kitchen is not complete without an outdoor sink built to last through the hottest of Houston summers year after year. We are experienced with choosing the right materials for your design and the premier contractor for custom built outdoor kitchens. Customer satisfaction is always our top priority.